Apparently, recent research has found that 1 in 4 British people (26%) now claim to spend more time watching TV through ‘on-demand’ services, such as BBC’s iPlayer, YouTube or Channel 4’s 4OD, than they do watching traditional ‘linear’ broadcast TV. Among young people ages 18 to 24, the figure jumps to a substantial 41%. Frankly, though, as far as I can see, the only surprising thing here is that the figure isn’t higher. I can safely say that I never, ever watch television when it’s actually on. 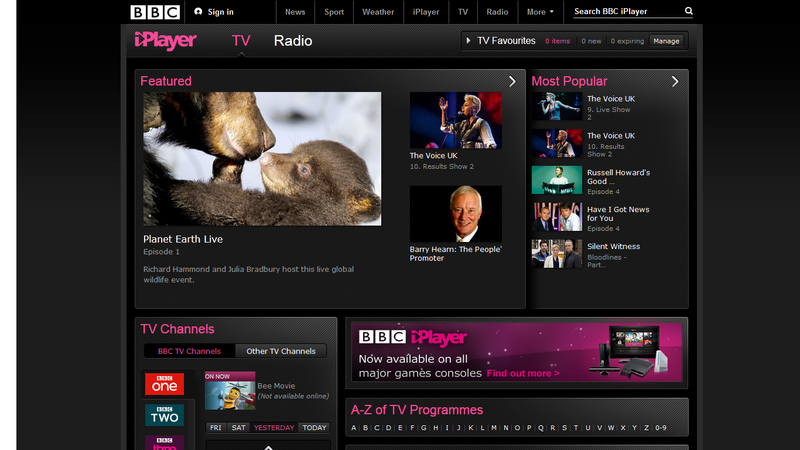 BBC iPlayer, and its (sadly inferior) cousins, are a permanent fixture on my computer, be it stored up in a list of tabs I’ve collected while browsing, saving them for later when I’ve got time to sit down and watch them properly, or actually playing – in the background as I potter around doing things, behind my Word document as I write, perched on my bed as I snuggle down for the evening, catching up on all the great programmes I’ve ‘missed’. Except, I don’t actually consider myself to have ‘missed’ them – because that would suggest that I aimed to watch them live, when first broadcast, and failed. I didn’t – on demand services have completely revolutionised the way that I – and people like me ‒ watch TV, to the point where I don’t even try to watch programmes live anymore.